Shabbir Evershine is a foodie and travel gnome at heart. Born and raised in Karachi (Pakistan), he immigrated to USA when he was 18 and since then, worked for three Fortune 500 companies and five startups. He is an avid book reader, loves to discover new places, new people, and new food cuisines and fusions. He is a certified project manager and has worked in an executive capacity running global Project Management Offices (PMO) for tech and finance companies. 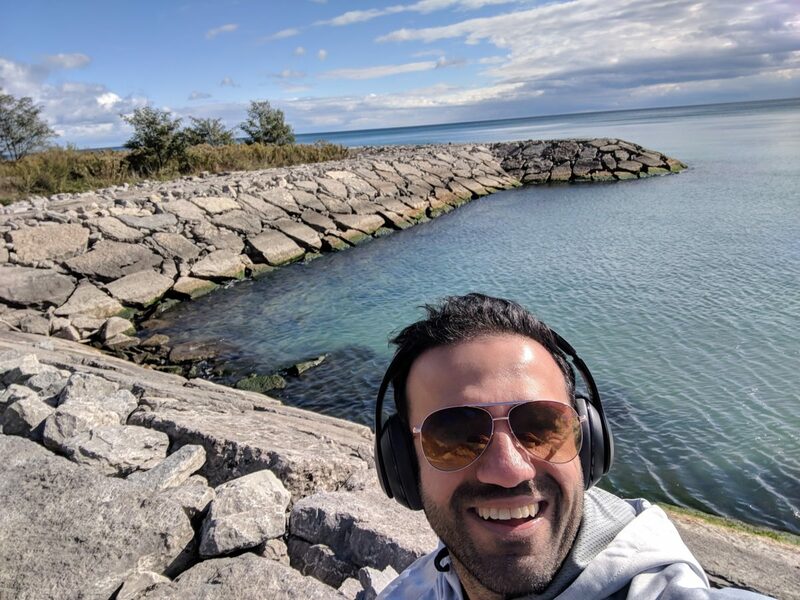 Shabbir Evershine currently lives in Toronto where he is the Founder of RocketPMO, a boutique consulting firm that specializes in the setup, implementation and maturity of Project Management Offices for small and large organizations. I love riding horses. While most (or almost all) equestrians will insist that it is a sport, I don’t ride horses as if I am participating in a competitive sport. I treat it as a hobby where I can relax and ride horses. How did you get started with this hobby? What inspired you? When I was seven years old, my father would take me horse-riding near a beach in Karachi. I would ride for several hours in a week and loved every bit of it. He was an avid rider himself and loved to train my younger brother and I in the fine art of horse-riding. Tell us what you love about it. The connection you feel with the horse is amazing. It feels like man and horse has become one. You feel the slight impulse, the muscle and gallop in its feet, the responsiveness of a well-trained horse, and the excitement between stimuli and response. Are there any groups you’re a part of or events that you attend related to your hobby? There are a plenty of clubs and training institutes that offer horse-riding classes. Personally, I am not part of any groups or events currently. I do want to pursue this competitively in the future though. Have you had to invest in equipment and if so, please share some of the things you’ve bought. Normally, I go to the local clubs and horse ranches to do occasional horse-riding. Breed of horses does matter. Training and upbringing is also evident as soon as one rides the horse for a while. Where do you buy most of your supplies? I rent horse-riding gear from the farm or ranch I go to. My sons own their own equipment though. They regularly do their horse-riding. Are there any good books for beginners? Tons actually. In addition, YouTube is a great place to learn more about horse-riding. How has this changed your life? Horse riding is connecting with nature. It strengthens the body, especially the core. It has made me more mindful. It builds coordination of mind and body. Working in a barn and taking care of a horse strengthens muscles and increases cardiovascular capacity. What advice do you have for others starting out with this hobby? Take it slowly. Learn the basics and horse care before riding. Understand the horse, and develop a wavelength. It will make the activity much more enjoyable. Are there any other hobbies you have? Stamp collecting, reading books, and travelling are all close to my heart. Please be sure to include a picture of yourself, preferably doing your hobby, which can be emailed to your account manager. To learn more about Shabbir Evershine, you can follow him on Twitter, Instagram, or LinkedIn. © 2019 Hobby Jam. All rights reserved.